Allan delivers a comprehensive prevention message that makes a lasting impression on audiences - each and every time! Allan Kehler, B.Ed., B. PhEd is one of our most impactful presenters to professionals in education and to their beneficiaries – youth and young adults. Educators and students across Canada have benefited from his engaging presentations on prevention and wellness. His comprehensive approach touches on many critical topics today – including suicide, addictions, recovery and wellness concepts. After spending a significant amount of time persevering through his own mental health issues and substance use, Allan made a decision to use his own life experiences to assist others. Allan's professional experience includes clinical case manager, addictions counselor and teaching instructor at several colleges. Drawing from both these personal and professional experiences, Allan confidently conveys how to create a safe, compassionate, and supportive environment that proactively addresses issues of mental wellness. He offers a unique style to effectively speak to these very sensitive issues using humor, compassion, and authenticity. 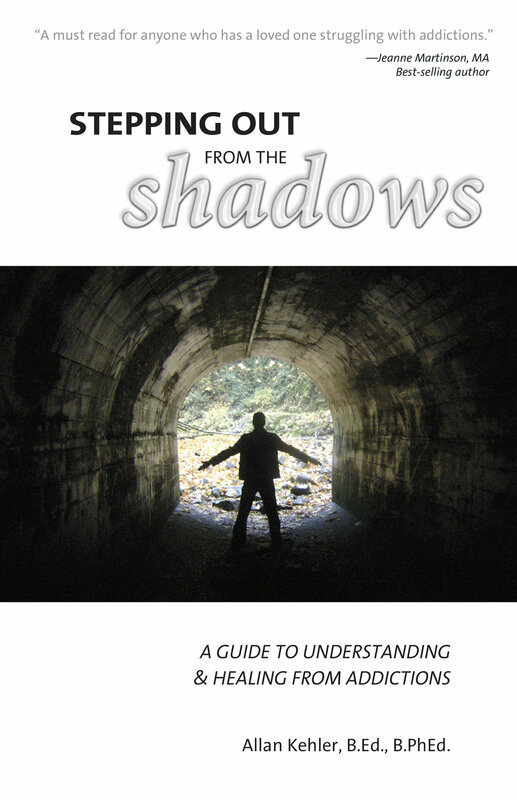 He is a best-selling author of three books, with one - Stepping Out from the Shadows: A Guide to Understanding & Healing from Addictions, incorporated into college curricula today in Canada. Allan’s writing has been published in countless national magazines. He has also been featured on several television and radio programs, yet it is his recognition as a professional speaker that has gained Allan the most national attention for his engaging style and captivating approach. Allan developed a genuine appreciation and passion for the First Nations culture. He spent the past several years instructing the Addictions and Mental Health & Wellness programs at the Saskatchewan Indian Institute of Technologies, and shares his powerful message on reserves across Canada. These cultural teachings have played a key role in his own recovery, and a holistic approach towards healing can be found in his presentations. After speaking to thousands at schools, colleges, educational and behavioral conferences across Canada – Allan now wants to expand his reach to American audiences and beyond. Allan shares his wonderful life with his four boys, beautiful wife, two dogs, and cat ‘Hank the Tank’.